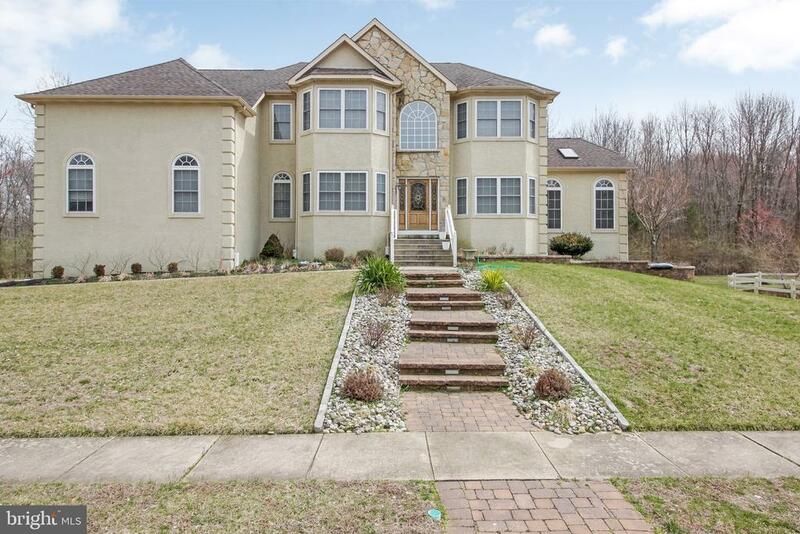 All Mount Laurel homes currently listed for sale in Mount Laurel as of 04/20/2019 are shown below. You can change the search criteria at any time by pressing the 'Change Search' button below. 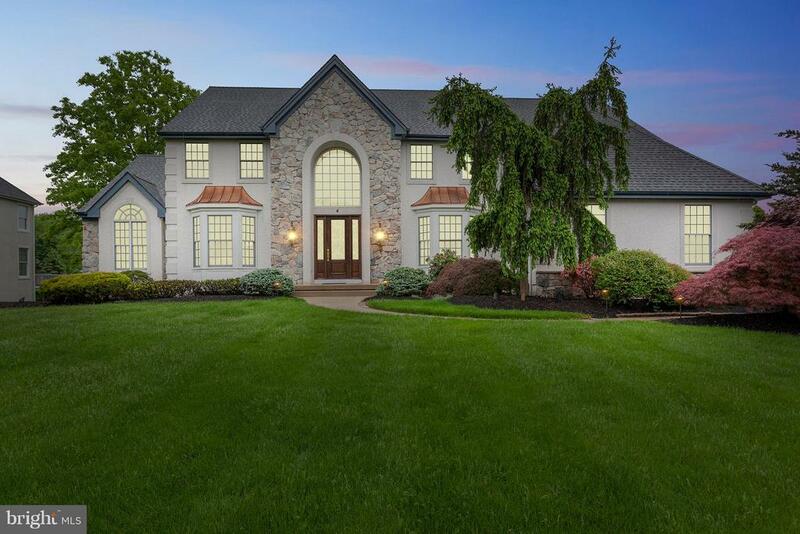 If you have any questions or you would like more information about any Mount Laurel homes for sale or other Mount Laurel real estate, please contact us and one of our knowledgeable Mount Laurel REALTORS® would be pleased to assist you. "Wait til you see this fantastic 5/6 bedroom 3 full 2 half bath home complete with full finished basement and a backyard second to none. 6600 sq ft of living space backing to a lake on over 1 acre of custom landscaped ground with custom hardscaping. The gourmet kitchen features a sub zero fridge and high end appliances, 42 inch kitchen cabinets, double oven, and custom island. Upstairs features updated Jack and Jill bathroom and hall bathroom. Master Suite has sitting area with gas fireplace and updated master bathroom. Family room has transom windows along the back wall overlooking the backyard views of the lake. The backyard features an in-ground heated gunite pool with 3 waterfalls, basketball court and custom patio with Koi pond, hot tub and more. Walk out finished basement with high ceilings, theater room, game room and wet bar. Extra big 3 car side entry garage. Great in law suite Outstanding features go on and on. You must see this home to appreciate it. If you see this home and don't buy it; your really not a buyer." "Great location! 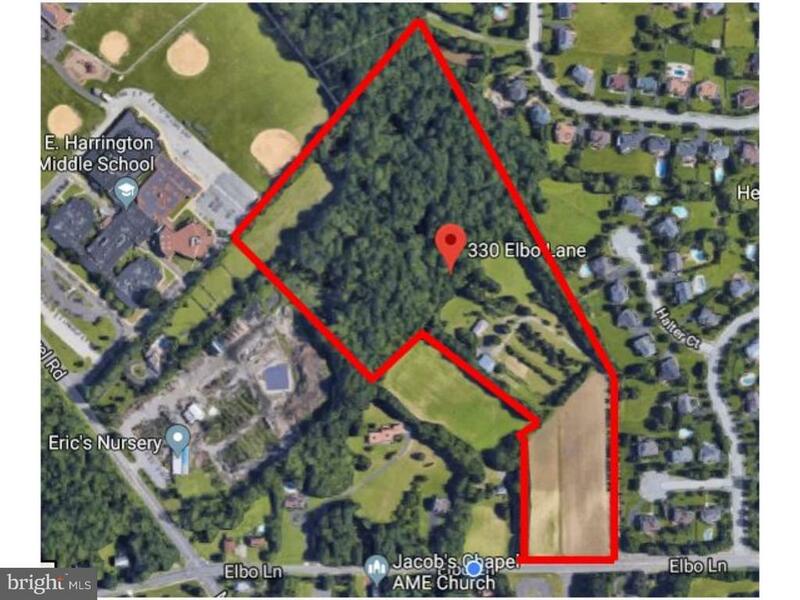 !Wonderful opportunity to build your own private estate on 10 1/2 partially wooded acres.Presently a tree farm with a vacant home on the property-( the home is being sold in as/is condition). Public water and sewer available on Walton Avenue. Sub Division possible! Buyer shall be responsible for any roll back taxes on property." "If stately luxury is what you~re looking for, you~ve found it in this expansive 4 bed, 2 full, 2 half bath award-winning Brighton model with side turn 2-car garage and dual-zone HVAC by Procacci builders. Enter into the soaring two story foyer with its gracefully turned staircase featuring wrought iron railings, gorgeous Brazilian hardwood flooring that runs throughout the first floor, and rosette and picture frame molding that continues into the formal dining room. The welcoming foyer separates the formal living and dining rooms in the center-hall design. The huge kitchen in this home is made for the chef, with its double wall ovens, stainless steel appliances, and abundance of granite counter space and 42~ maple cabinets. A large island provides seating for four as well as a wine rack. The kitchen opens onto the bright and airy morning room where the lush rear yard is showcased through a wall of windows and which provides access to the large bi-level paver patio. A private study/office offers the perfect space to work from home. Family and guests will love relaxing in the 2 story family room that features a floor-to-ceiling stone gas-burning fireplace. A rear staircase leads to the dramatic bridge hallway and second floor. The second floor features four bedrooms, including a grand owner~s suite where you can unwind at the end of the day. The room-sized walk-in closet allows for storage of your entire wardrobe and more. Escape with a book in the bonus sitting room or soak the day away in the en suite~s large soaking tub. The bath also offers a stall shower with glass doors as well as a double vanity for ease of morning routines. The three additional bedrooms are all nicely sized and offer neutral carpeting. The full hall bath features a tub/shower combo with a tile surround as well as a double vanity with storage. 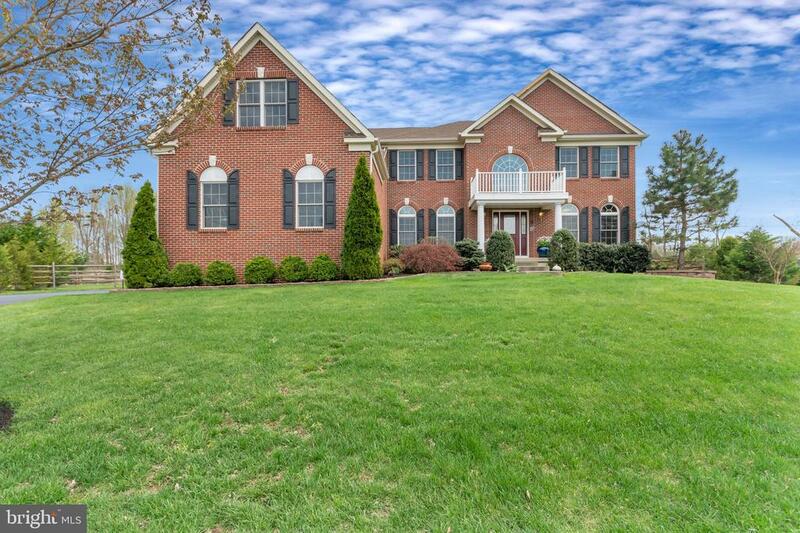 This spacious home offers even more with its full, finished walk-out basement. This incredible space boasts extra ceiling height along with a full bath "
"Welcome to 12 Sarah Court. From its grand facade to its exquisite upgrades, this magnificent home is ready to pamper its new owner. Professional landscaping and a custom paver walkway greet you as you arrive at this executive home. Upon entering, you will immediately notice the attention to detail. This home offers more than just beautiful flooring, crown molding, wainscoting and attractive millwork throughout. An elegant butterfly staircase beckons you forward into the open floor plan. Open views of the formal living, dining room, kitchen and family room promote an interactive lifestyle for entertaining and a sense of space throughout. To your left, is the spacious formal dining room with large palladium windows allowing natural light to spill forth while to the right of this regal foyer is a large living room. The real surprise is found when you venture to the rear of the home. The heart of this home is the kitchen which features custom cabinetry, extremely large center island with an abundance of storage, granite countertops, custom tile backsplash, a breakfast bar, undercabinet lighting and more. A gourmet chef will appreciate the stainless-steel appliance package that includes a subzero refrigerator, double wall oven and wine cooler. No detail is overlooked. A second stair case is tucked in the far corner allowing easy access to upstairs. The breakfast room with vaulted ceiling, recessed lighting and a wall of windows is large enough to host a family reunion or banquet yet cozy enough to enjoy the evening meal. Adjacent to the kitchen is a family room with a soaring two-story ceiling, recessed lighting, gas fireplace flanked by floor to ceiling windows that not only make a statement but let in plenty of natural light. Off the family room is a sun room and nice size office with bay window. A half bath and laundry room with additional storage with inside access to the spacious three car garage complete the first floor. The second floor will not disappoint. The s"
"Welcome to 501 Walton Ave., Mt. Laurel, NJ. A truly exquisite custom home nestled on almost an acre of wooded shrubbery & wildlife. You are on an oasis of privacy with open land on all sides. This well planned executive home greets you with an 8 column slate covered front porch & 2 story entry foyer. On either side of this great open floor plan is the living room & dining room with many architectural features including crown moldings & tray ceilings. Moving on into the chefs delight gourmet kitchen with 42 antique white top of the line cabinets, granite counters, Kitchen-Aid stainless steel appliances including wall oven, warming drawer & microwave. A Thermador 5 burner stove, center island & a 2 tier breakfast bar are only a few of the amenities. The morning room with lots of windows is a fabulous place for morning coffee or an evening glass of wine. Adjoining your morning room is the 2 story great room complete with a wall of windows, gas fireplace with views of the serene yard which backs to open protected space. The craft room on the first floor can be used as an in-law suite with its full bath. Rounding our the first floor is the sun filled conservatory & study with French doors & crown moldings. Upstairs is the master suite with bay windows & tray ceiling, lavish master bath, dual vanities, Whirlpool tub, oversized walk-in closet & one of two laundry rooms. Two nice sized bedrooms share a Jack & Jill bath. A princess bedroom & bath complete this level. The lower level has 2 sets of sliders going out to the gardens, a full bath & another laundry room & a wine cellar waiting for your personal touches. 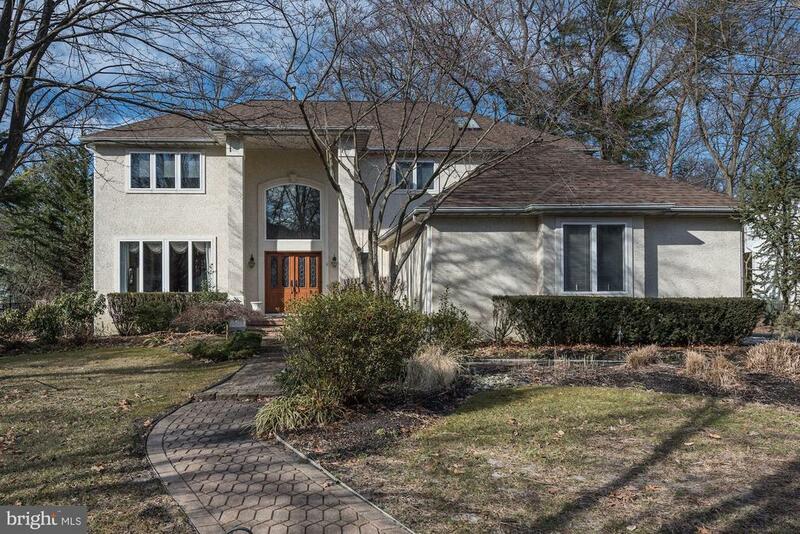 Amenities: Finished Basement 10' ceilings, Wine Cellar, Finished Garage - 3 Car with openers, Hardwood Floors, Custom Closets throughout house, Custom Tile throughout, 2 Zone Heat & AC, Central Vac, Recessed Lighting, Upgraded Electrical & Intercom. Come tour this fantastic home. Pack your bags & move right in." "CUSTOM BUILT home located on 4 acres of privacy! Run your business, and entertain in your 6,000 square foot home. The main floor office is 35 x 22, offering extra phone, and internet lines, mini kitchen, bathroom, and executive corner suite, perfect for a professional, or entrepreneur. 2 SEPARATE ENTRANCES! The main entrance to your foyer, or a 2nd entrance into the GREAT ROOM, which is currently the home business. The main home offers a 2 story Family room, with a full stone wall FIREPLACE! The open floor plan offers a plethora of windows, and 2 sliding glass doors leading to your 60 foot DECK! The deck offers the utmost privacy, surrounded by woods, and wetlands, so homes will never be built behind your home! Come back in from the deck, and enter YOUR GOURMET KITCHEN, offering Italian Travertine flooring, Cherry Cabinets, GRANITE COUNTER; Plus ISLAND TOP, w/ seating for 6, and gas top cooking. All the APPLIANCES, plus the sub zero oversized refrigerator, are included! Your spacious kitchen also offers a pantry, and BREAKFAST ROOM overlooking your deck, and family room! The FORMAL DINING ROOM offers seating for 12, with CROWN MOLDING, recess lighting, a bay window, chandelier, and Mahogany flooring! You can take the IN-HOUSE ELEVATOR to the 2nd floor balcony, overlooking your family room. Enter your MASTER SUITE thru your double doors, offering a dressing area, walk-in closets, oversized windows. The master bathroom offers a glass enclosed ceramic tile shower, plus a soaking tub, plus his & her vanity! The 2nd bedroom offers a walk-in closet, and its own private bathroom. The 3rd, and 4th bedroom have a jack & jill bathroom. The laundry room is also upstairs for your convenience. Ther is a floored attic for extra storage. Take the elevator down to your FINISHED BASEMENT offering a 6 seat BAR, wine room, GAME ROOM with a pool table, and access to your private GYM/ Fitness room with mirrors. Your walk-out basement leads to your full house patio, surrounded by woods "
"Do not miss your chance to call this upgraded Lenox model w/ over 5,000 sq ft of living space (including finished walkout basement) in one of the most sought after Mount Laurel neighborhoods, Rolling Glen, home! It features 4 spacious bedrooms, 4.5 baths, finished walkout basement, 3+ car garage, professional landscaping, newer roof, and other upgrades. Enter inside the property which sits on 3/4 of an acre and instantly get blown away by its abundance of light and gleaming hardwood floors! The formal living room and dining room are both large and bright featuring long windows and crown moldings while the family room has cathedral ceilings, a marble fireplace, huge windows, and plenty of room for entertaining or enjoying the game day! The kitchen flows perfectly with space and is connected to the family room making it an entertainer's dream! French doors open up to the spacious office with custom built-ins which is both accessible and private. The eat-in kitchen itself has sleek stainless-steel appliances w/double oven w/convection & gas cooktop, gorgeous 42 custom cabinetry, accented by a travertine backsplash, granite countertops, and an oversized island with extra seating. For ease and convenience, a laundry room is located and complete with its own sink and plenty of space for storage and organization. Follow the hardwood floors upstairs where you will find a princess suite with a private bath, two additional large bedrooms with ample storage and plenty of light, updated hallway bath with double vanities, and a master suite. The master suite is massive, with its own sitting area, tray ceiling and a master bath complete with a double vanity sink, standing shower, and soaking tub. The finished walkout basement boasts a whole extra level of entertaining, living, and storage space and features modern engineered floors, full-size windows and sliding doors, and a full bath. It opens to the massive yard and an inground Gunite pool w/ hot tub, paver sitting area backing"
"This exciting and sophisticated property will have you swooning at every turn. Located in the premiere community of The Grande at Springville, you'll be the beneficiary of $220k+ of builder-upgrades & $150k of owner-upgrades. A great street approach welcomes you to an interior showcased by a magnificent 2 story foyer with open views of the expansive boat deck balcony above, wood and wrought iron balustrades, & gleaming hickory wide plank hardwood flooring accented by designer wall colors. Extensive millwork throughout adds an additional touch of elegance. Open views of the formal Living and Dining Rooms & columned room delineation promote an interactive lifestyle & sense of space throughout the first floor. Additional features you will love include: dramatic & abundant windows with custom coverings and plantation shutters; high, vaulted and coffered ceilings; stylish lighting accents; and recessed lighting in every room. The gorgeous designer Kitchen is a dream! Boasting oversized casual dining island with prep sink, glazed cream 42 cabinetry, oversized tile floor, full upgraded stainless steel appliance package, granite countertops, & tumbled stone backsplash. A large breakfast room has open views of the 2 story Family Room with gas fireplace and stacked windows. The Butler's pantry links the Kitchen to the Dining Room, & the 1st floor Library and Grande/Bonus Room provide additional space. Upstairs is home to a lavish Owners' suite with coffered ceiling, gas fireplace, Sitting Room, 2 large custom California closets. The luxurious bath has tiled frameless glass spa shower, step-in whirlpool tub, & furniture-quality dual vanities. 2 bedrooms feature Jack & Jill bathrooms, & the 4th bedroom is a lovely Princess Suite. The full finished walkout basement with sliding glass door egress offers an abundance of flexible space, 4th full bathroom, & additional storage. Additional features include: security system with custom speaker/sound system inside and outside the home"
"There is only one way to describe this estate and that is ~UNIQUE~. 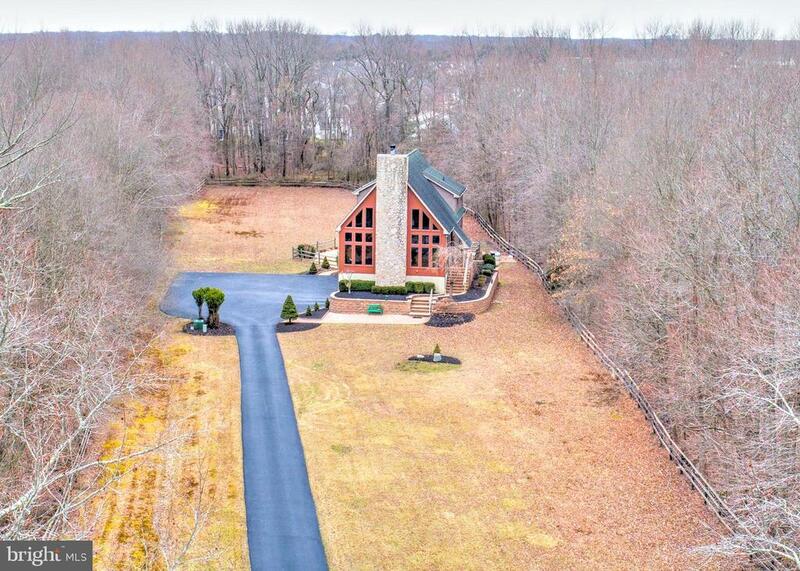 This custom-built home sits on 4.41 acres with an adjacent lot that is 3.66 acres. The home adjacent lot can be sold together or separately. The contemporary style home was designed in 2003 by architect, Nicholas Pero, Three Dimensions Architectural Firm, and built by McGovern Builders and has 2520 square feet of true living space. It is surrounded by acres of persevered green space. The expansive lot is fenced with a majestic 1000 foot driveway entrance leading to an oversized 2.5 car garage. You are welcomed by professional landscaping and hardscape surround the home. The grounds feature an in-ground heated pool sits on a hardscaped patio. Enter the first floor from the 2 car oversized garage with storage shelving and matted floors. On the first floor you will find a mud room with large closet, an office/den with half bath, another room finishes the first floor. Both rooms have sliding glass doors which look out to the pool and surrounding grounds. The second floor features a laundry room with cabinetry, 2 more bedrooms with expansive windows and a private hall bath. The kitchen features stainless steel energy efficient appliances, granite counter tops, electric cook top with down draft, kitchen also has a breakfast bar with seating, with solid maple cabinetry and large dining room with glass sliding doors that exit to Trex deak that overlooks the in ground pool and massive private grounds. The great features vaulted ceilings with floor to ceiling windows an overlook from the master bedroom floor and a floor to ceiling stone hearth for cozy winter nights. The third floor features a huge master bedroom with vaulted ceiling with his & hers walk-in closets with custom cabinetry and his & hers separate bathrooms. Just outside the master bedroom you will find the loft office with walk-in storage closets that overlook the grand great room. This home sits on 4.41 secluded acres that has "
"A true ~Home of Distinction~. 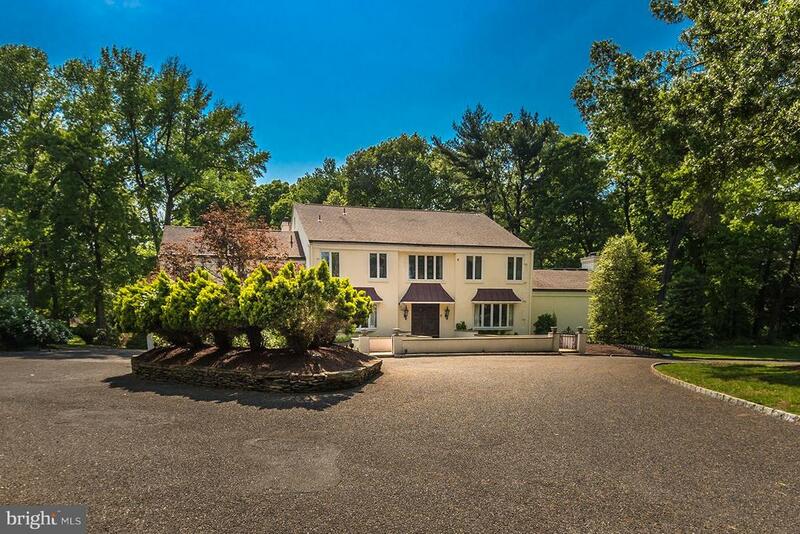 This Iconic Estate is nestled on over 2 wooded acres. Pull up in the circle drive and take in the full effect of this statuesque, 9,500+ sqft. home. Built in 1968, this stately manor welcomes you with fine craftsmanship and attention to detail. The stunning woodwork is apparent the moment you enter. A large kitchen with double sinks, ovens, and the works will help with all the entertaining you~ll do. A massive great room with Oak wet bar, this amazing space has exposed wood rafters. The Solarium is flooded with natural light and is a peaceful space. Additional relaxation can be had on the large lit patio overlooking the expansive, picturesque setting. The master bedroom is truly worthy of its name, with two sitting rooms, an attached bath with soaking tub and two showers. There~s also an apartment/in-law suite with full bath attached. If all this wasn~t enough, the indoor pool and spa is the icing on the cake. More exposed wood beams and an overlook that just tops it off. There~s an incredible basement with walkouts, just waiting to be made into your perfect space. The grounds are expansive and private. 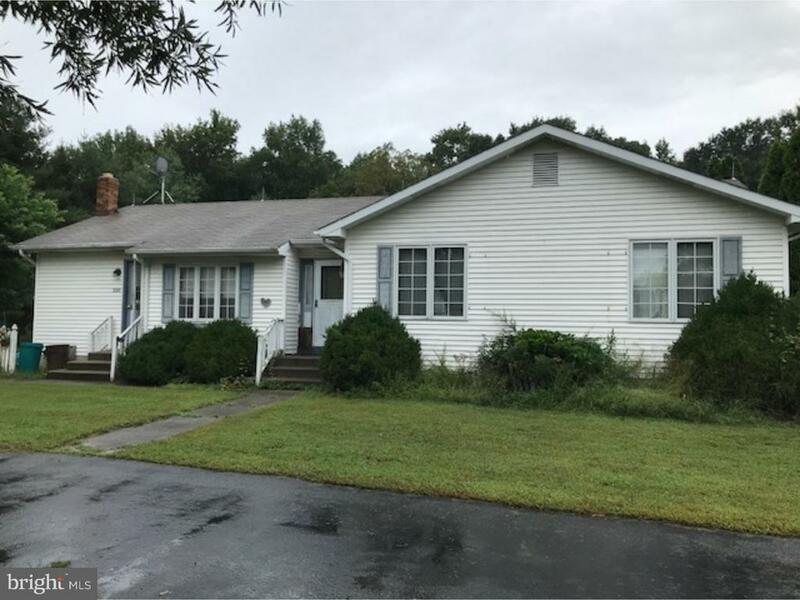 This home is a completely unique opportunity. It~s ready for a makeover and priced to move. The seller is a well known builder and will work with you at well below retail, to make this home everything you want it to be. Call for your private tour.The property next door; 4226 Church is the adjoining 3 acres and is available as well. The small home on it is unsafe and should not be entered. See the MLS listing for further details." "Oh my goodness this one is a beauty and what space almost 4000 square feet, just enough for everyone to get lost inside. Beautiful two story foyer, formal living and dining rooms. Sunroom with tons of light to enjoy each and every season and French doors to rear yard. Large kitchen and dining area, crown molding on cabinets, granite, recessed lights, tile backsplash, pantry, ss appliances and double sinks. Family room, wood floors, wood burning fireplace, marble mantle and Cath ceilings. 1/2 bath, laundry and oversized 2 car garage complete this level. Full finished basement with walk out, office, rec room , full bath, and storage area. Upper level, huge master bedroom with tray ceiling, walk in closet, and master bath with stall shower, double sink and soaking tub. 3 additional bedrooms all of good size. 2 more full baths. Great property just waiting for its new owners. All located in a wonderful location easy access to major highways, bridges and shore points. Property sits on a cul-de-sac for added privacy. Call today it may be gone tomorrow.,"
"*BACK ON THE MARKET! * Buyer's financing fell through. Elegant living is yours in this quality Orleans built home offering the finest in details and design. Located at the end of a private cul-de-sac, within a community of similar homes, the property sits on a large .5+ acre of manicured grounds with extensive landscaping. Your private rear yard includes a large area for play, with the added bonus of enough space to add a pool or outdoor living area of your dreams. You'll find the extensive hardscaped patio is a great place to relax and have fun with friends and family. There's also a large custom low maintenance deck off the back of the home. The brick front exterior and bump out facade welcome you to a home that is as impressive as it is comfortable. A grand two story foyer with oversized Palladian window greets you while custom painted walls and extensive white painted millwork trim sets the tone for the entire home. An impressive split staircase adds interest and easy accessiblity to the upper level with a balcony overlooking the entire area as well as the Family Room. Architectural columns provide visual room separation for the formal Living and Dining Rooms and allow for an interactive lifestyle which extends throughout the floor plan. 9 foot and vaulted ceilings add drama and an immense sense of space throughout. Everyone will gather in the gourmet Kitchen with 12ft center island, furniture quality cherry cabinetry, top of the line stainless steel appliance package and an adjacent Morning/Breakfast Room with vaulted ceiling and gorgeous views of your back yard. Within view of the Kitchen is the 2 story Family Room with gas fireplace. A first floor Study offers quiet retreat for work or study. The upper level includes your private Master Bedroom with sitting area, trayed ceiling, large walk in closet with custom storage and a luxury attached bath with tiled floor, dual vanities, garden tub, stall shower and private toilet. There is also a Princess suite with p"
"A rare opportunity to live in the stunning model home at the Grande at Springville! This meticulously maintained sophisticated property features extensive builder and owner upgrades. The interior showcases a magnificent two story foyer offering sweeping views of the first floor with a grand wood staircase with wrought iron balusters, a stunning retractable chandelier, three coat closets and a hardwood floor that flows throughout most of the first floor. Open views of the formal living and dining rooms and columned room delineation promote an interactive lifestyle for entertaining and a sense of space throughout. Extensive millwork, custom window treatments and designer wall colors in each room adds an additional touch of elegance. Amenities include dramatic and abundant windows, a spacious living room with a wood fireplace and custom wall niches and a formal dining room with a tray ceiling, stylish lighting accents and custom wainscoting. A Butler~s pantry with a wet bar links the dining room with the gorgeous gourmet designer kitchen featuring 42~ wood cabinetry, granite countertops, an oversized island with a prep sink, stainless steel appliances, hardwood floors, granite counter tops and a tumbled stone backsplash. The breakfast room opens to a sunny Florida room with a large window filling this space with abundant natural light, a vaulted ceiling, 2 skylights and a custom built wall unit. A sliding glass door opens to a large Trex deck with built in accent lighting. Architectural columns define the two story family room which features new wall to wall carpet, a second fireplace (gas) and floor to ceiling windows with striking window coverings, crown molding and another custom built-in wall unit. The handsome library is accented with a custom built floor to ceiling bookcase, wainscoting and crown molding. Completing the first floor is a recently renovated beautiful mudroom. Custom designed with designated cubbies, abundant hanging space, shelving, sittin"
"Mount Laurel Gentlemans Farm. Great Schools, Great town and a wonderful place to call home. This property consists of 21.69 beautiful clear and wooded acres, a 3-bedroom 2 bath 1700 sq. ft ranch home with full basement, a 40 x 50 Morton Pole Barn with attached 3 car garage and work shop that sits on 2.69 acres. The QFarm consists of 19 acres MLS #7247321 and together both parcels total 21.69 acres. This is an amazing piece of property. Currently a working farm, this property could be an amazing private estate, a horse farm, a working Crop, Organic, Lavender or Hops farm as well as having the potential to be developed into a community of homes. With parcels of land this size almost extinct in this wonderful town, this is a unique opportunity to own your own private retreat or develop into something much much more." "Mount Laurel Gentlemens Farm or ladies Farm. Great Schools, Great town and a wonderful place to call home. This property consists of 21.69 beautiful clear and wooded acres. The QFarm consists of 19 acres and MLS #7247488, a 3-bedroom 2 bath 1700 sq. ft ranch home with full basement sits on 2.69 acres. 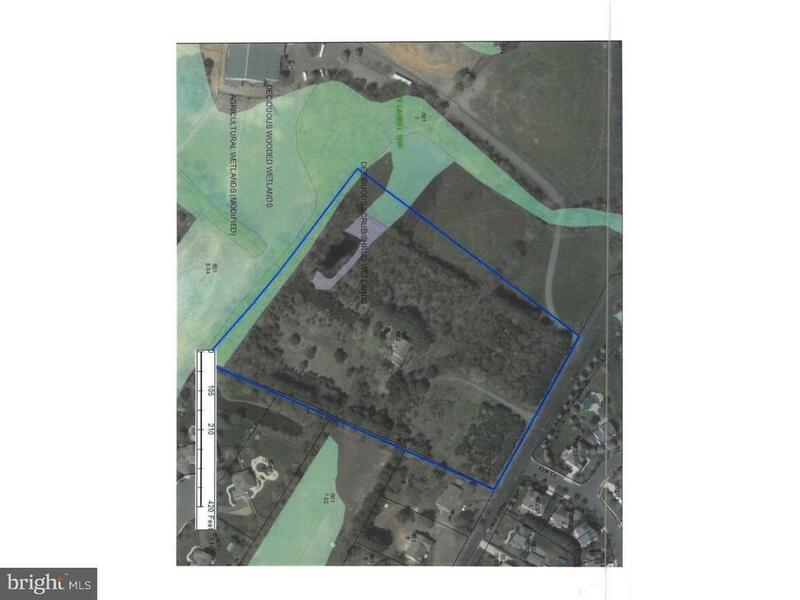 Together both parcels total 21.69 acres. The property includes a 40 x 50 Morton Pole Barn with attached 3 car garage and work shop. This is an amazing piece of property. Currently a working farm, this property could be an amazing private estate, a horse farm, a working Crop, Organic, Lavender or Hops farm as well as having the potential to be developed into a community of homes. With parcels of land this size almost extinct in this wonderful town, this is a unique opportunity to own your own private retreat or develop into something much much more. Public Water and sewer is available. Property is adjacent to Bridlewood"
"Welcome to this beautiful custom built executive corner Home in desirable Ravenscliff. As you enter into the two story tiled foyer notice the vaulted ceiling and the grand turned oak staircase. The professionally designed formal dining room & living room include bay windows, custom crown molding, chair rail & hardwood flooring. Continuing into the grand two story family room with a floor to ceiling stone fireplace, large palladium windows, two skylights provide an abundance of natural light. A spacious gourmet kitchen features 42oak cabinets, granite counter tops & back splash, stainless steel appliances, a Jenn-Air cooktop, built-in double ovens, microwave & 18x18 tiled flooring. Also included on this level is a library/office with wall to wall bookshelves & another full bath. The second floor has an expansive master suite with two walk-in closets which adjoins to a newly remodeled master bath featuring a large tiled frameless shower door, soaking tub & dual granite top vanity. The additional 3 bedrooms are generously sized & have spacious closets. The hall bathroom has a double vanity, tiled shower & tub. The fully finished basement has over 2,000 sq. ft of spectacular space that includes another full kitchen & work area. Additional amenities include 9'ceilings, freshly painted throughout, upgraded Kohler fixtures, Anderson windows & remodeled laundry room with 3 42 oak cabinets & stainless steel sink. Impeccably designed & maintained landscaping in front & rear. 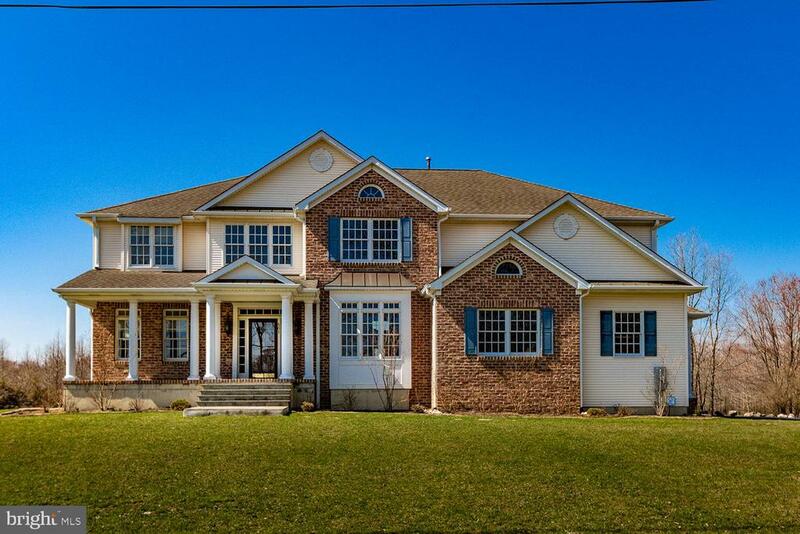 This home is an exceptional beauty & has everything you come to expect. A buyers 2-10 Home Warranty is also included in this sale. One seller is a licensed real estate salesperson in NJ." "Welcome to 129 Mountainview Road. 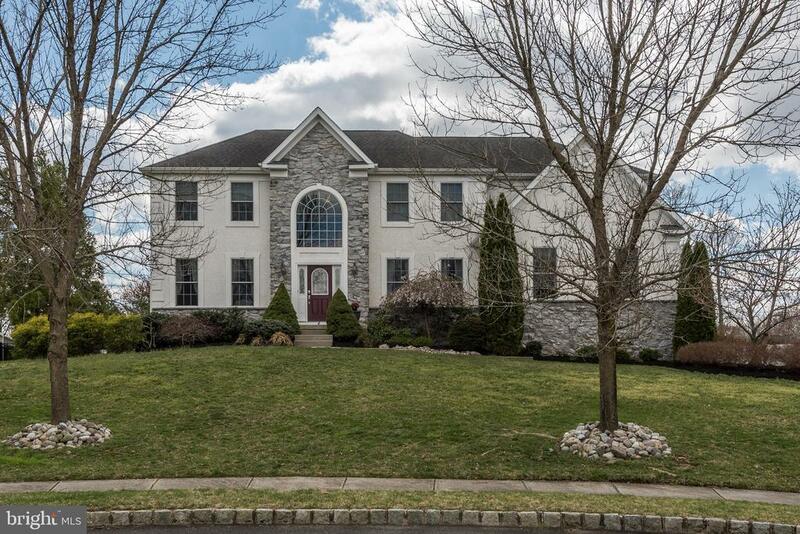 Curb appeal abounds as you walk up the paver path to this majestic brick faced colonial home, located in the premier neighborhood of Ravenscliff. Upon entering the home you are greeted by an expansive two story foyer and hardwood flooring that runs throughout the main floor. From this vantage you will also immediately appreciate the openness and natural flow that this home offers. With a majestic staircase, catwalk, and soaring ceilings that run unimpeded to the rear of the home the characteristic of this home present themselves upon walking through the front door. To your left is a large formal dining room and to your right is an equally impressive living room with French doors leading to the ground floor office. Travel down the center hall to discover a large family room with a gas fireplace and a vaulted ceiling that runs back to the foyer. With skylights, French doors, large windows and a view of the second floor catwalk, this bright and airy room is cozy enough for family relaxation or large enough to entertain. The kitchen is positioned just off of this room and boasts an abundance of cabinets, a generously proportioned center island, large granite expanses, stainless steel appliances, breakfast bar and a sunny breakfast room. The main floor also hosts a laundry room with both garage and outside access and a half bath. Travel up a front staircase, to the second floor and discover a spacious master bedroom suite with a sitting area and large walk in closet. The master bath offers separate vanities, soaking tub and stand up shower. Three other nicely sized bedrooms share a hall bath with a double vanity and shower tub. The lower level offers additional living space with a great room, another room that is being utilized as a home gym and full bath. Walk up outside access enables this space to double as an additional bedroom or even in-law or au pair suite. With the warm weather coming, you will be able to enjoy entertaining outsi"
"SIMPLY GORGEOUS! 12 Autumnwood Lane, an exquisite home located on a quiet cul-de-sac in Mount Laurels highly desirable Hidden Lake neighborhood. Instant curb appeal starts with the beautiful professionally landscaped gardens and mature trees drawing you inside to a soaring two-story foyer complete with open staircase and gleaming hardwood floors that wind throughout the first floors A generous office space sits on the left through french doors while open to the formal living Both rooms feature custom chair rail, crown molding and window seating. A very flexible space that is currently being used as a playroom with a double french door entry. A large laundry room and walk-in closet are also found here with access to the yard. The kitchen sits at the back of the house overlooking the beautiful backyard and patio. Here you will find white cabinetry, wood flooring, granite counter tops, and stainless steel appliances. The center island, pantry closet and large breakfast area with custom window seating complete this space. Step in from the on trend white kitchen to the expansive 2 story family room that boasts a stunning fireplace with floor stone surround and abundant windows that surround the room and look out over the wonderfully private yard. The second floor master bedroom suite is a private sanctuary featuring a tray ceiling, a wonderful sitting room defined by double sided gas fireplace, large walk-in closet, and en-suite bath with double vanity sinks, Jacuzzi tub, and walk-in tiled shower. Three spacious additional bedrooms offer Window seating and ample closet space, and a hall bath with double vanity sinks with bathtub/shower enclosure complete the second level of the beautiful home. The large unfinished BASEMENT is a blank slate for any and all entertainment needs with FULL WALKOUT BASEMENT FRENCH DOORS AND WINDOWS. Preplumbed for bathroom and extra ceiling height. A 3 car garage allows for ample parking. A large backyard backing to woods and open space "
"A stunning oasis! Welcome to 6 Saddlebury Court, a majestic home with resort-like features. Located at the end of a private cul-de-sac, within a community of similar homes, the property sits on a large half acre of manicured grounds with extensive landscaping and fabulous salt water in ground pool with waterfall and spa. Fabulous curb appeal greets you as you enter into an interior showcased by a magnificent 2 story foyer with butterfly staircase and open views of the living room, dining room, and kitchen. Gleaming Brazilian wide plank cherry wood floors that flow throughout the majority of the first floor, molding and millwork add a touch of grandeur. To your left, is the spacious formal dining room with large palladium windows allowing natural light to spill forth while to the right of this regal foyer is a large living room. The real surprise is found when you venture to the rear of the home. The stunning gourmet designer~s kitchen is a chef~s dream. Featuring 42-inch wood cabinetry, an oversized island, granite counter tops, custom travertine stone backsplash and stainless-steel appliances that include GE Monogram 6 burner cooktop/grill, double wall oven, and warming drawer. The breakfast room includes a vaulted ceiling with sky lights and wonderful large windows and a slider that fill this space with an abundance of natural light while also allowing you to enjoy your private oasis outdoors. A breakfast peninsula gently delineates the kitchen from the family room that boasts gas fireplace and floor to ceiling windows. A first-floor office sits quietly to the side of the family room while right off the kitchen is a mud room, sporting built in cubicles, shelving and abundant hanging space that helps to create organization while providing direct access to the backyard. A second back staircase leads to upstairs. Double doors open to a lavish owners~ suite with coffered ceiling and stately columns that separates the sitting room from the bedroom. 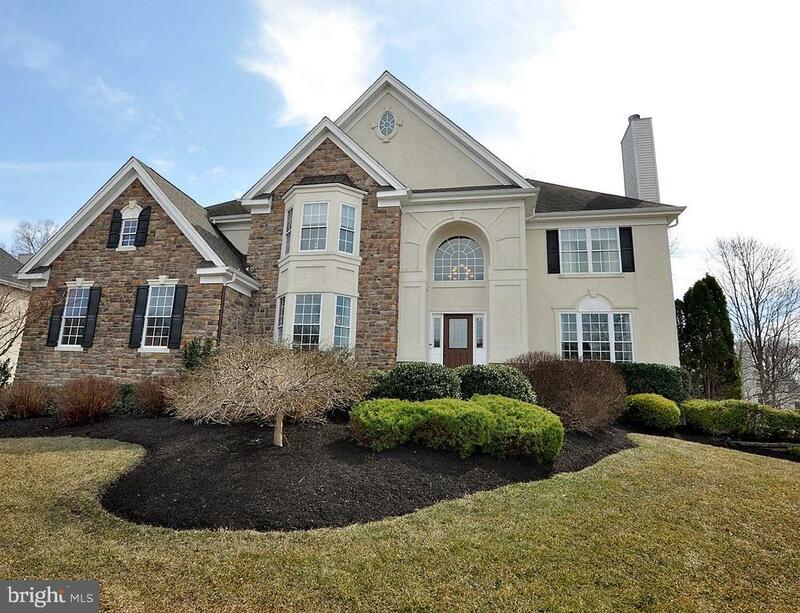 Two large walk-in cl"
"This well-built home is located in one of Mount Laurel's most desirable communities, The Grande at Springville. Surrounded by residences of similar prestige, this nearly 3500 square foot home is set on nearly 1/2 an acre, boasts a walk-out basement, & has an impressive street presence. Lots of lush lawn is complimented by professional landscaping and a nice setback from the street. The expansive rear yard awaits your dreams and offers enough area for a large deck, patio or even a pool! The interior of this home is filled with appointments and amenities that will exceed your expectations. High ceilings combine with architectural details that add interest and character throughout. Gleaming hardwood flooring, freshly painted walls accented by white wood trims and an abundance of large designer windows create an inviting and warm environment. The open flow of the floor plan meets everyone's needs and is as great for entertaining as it is for daily living. Family and guests will gather in the stunning gourmet Kitchen which features an abundance of minimalist shaker style 42 shaker cabinetry, center island for serving and workspace, light granite countertops, full stainless steel appliance package, desk/computer station, & a large pantry closet. There is a casual dining counter as well as spectacular Morning Room with views of the property that surrounds you. All of this opens to the 2 story Family Room with gas fireplace and rear staircase for convenience. Finally, a spacious laundry room and a first floor Study completes the main level. The upper level balcony overlooks the Foyer and Family Room. Upstairs you will also find a gorgeous Owners' suite with tray ceiling, 2 generous walk in closets and a lavish bathroom with garden tub, dual vanities, stall shower and private toilet. The remaining 3 bedrooms (2 with walk in closets) share a well appointed main bathroom. All of this plus a full, unfinished basement with high ceiling & plumbing in place for an additional 3rd "
"Welcome to 5 Wellington Court. This custom-built majestic home with an in-ground gunite pool is nestled at the end of a quiet cul-de-sac in the prestigious Wellington Court enclave. Upon entering, you will discover a grand foyer bathed in sunlight with soaring ceilings that is spacious enough to greet many guests at once. 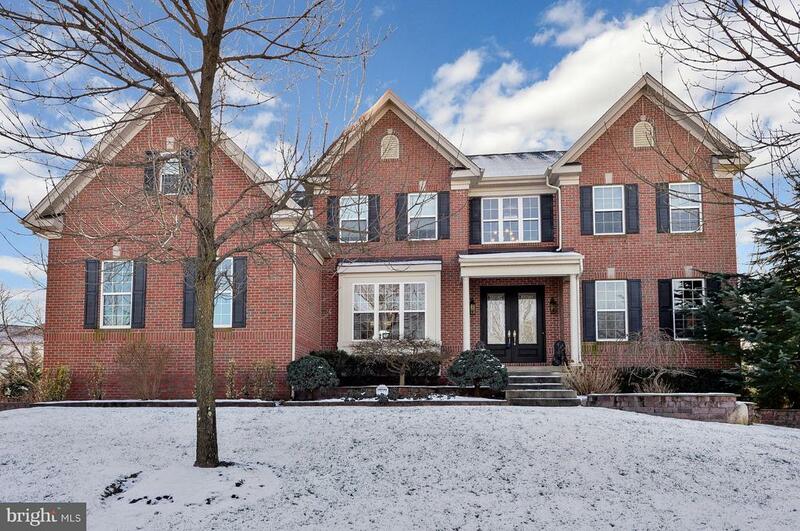 Beautiful hardwood floors, millwork and crown molding abound in this home. To your left you are invited through a large entryway into a step down living room with large bright windows. This room opens directly to a large formal dining room with only a couple of floor to ceiling columns dividing the two rooms. Just off of the dining room is a large open area where family and friends will gather, comprised of a kitchen and family room. The custom chef~s kitchen boasts an abundance of cabinetry, granite, tile and high-end stainless-steel appliances. The large center island seats four. The breakfast nook with windows and slider that open to the paver patio, offers additional room for kitchen dining. The transition from kitchen tile to hardwood flooring is the only indication that you~ve left the kitchen and entered the family room. Its recessed lighting, built-in cabinets and gas fireplace with brick surround adds an updated yet cozy feel to this room. It is illuminated during the day by a wall of windows and sliding door that offers views and access to the patio, pool and koi pond beyond. The main floor also hosts an office with built-ins, a large half bath and laundry room with additional storage. Travel up a front staircase, with wrought iron accents, to the second floor and discover a spacious master bedroom suite with hardwood floors and a gas fireplace. Enjoy a morning cup of coffee or an evening glass of wine on your own private balcony overlooking the manicured backyard and pool. The master bathroom reveals two distinct rooms. The first room offers a soaking tub, vanity and a large walk in closet. Travel through to the next room that hosts anot"
"Immaculate 4 bedroom 2 1/2 bathroom French Contemporary home, sitting on almost 1.5 acres, is located in the prestigious Autumnwood development. This home is move-in ready with many upgrades and amazing custom woodwork/moldings/columns. It has a great curb appeal with professionally landscaped yard offering lush plantings, large driveway and recently treated deck with a gazebo and gas line for grill. It also includes a gorgeous in-ground pool, shed, swing set and trampoline. As you enter through the front door, you are welcomed by hardwood floors, sunny freshly painted foyer with a large window above the front door and custom staircase with wrought iron. The formal living room is on one side of the foyer while the formal dining room, freshly painted, is on the other with access to the upgraded custom kitchen. The amazing family room with Brazilian hardwood flooring will take your breath away! It was also freshly painted and offers a gas stone fireplace, cathedral ceiling (2 story) and lots of windows for plenty of natural light. French doors lead you into the office which has a glass sliding door leading to deck and gazebo. The heart of the home is the kitchen and this one is amazing! Great amount of storage in the custom cabinets! A large kitchen island, pantry, granite countertops, tiled backsplash and stainless steel appliances are offered as well as 5 burner gas range. The kitchen is open to the large breakfast room that is surrounded by windows and french doors to the outdoor deck. Custom storage is also provided in the first floor laundry & mudroom with utility sink, 1/2 bath and access to 2 car garage with storage cabinets. The second level offers 4 bedrooms; a large master suite offering a his and her walk-in closets and updated master bath is beyond stunning with custom cabinets offering granite counter tops, double sinks, large shower and soaking tub. The other 3 bedrooms are a generous size with a shared full updated bathroom with ceramic flooring, grani"